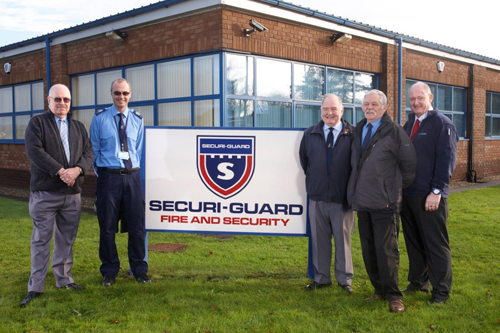 Five employees with Securi-Guard are celebrating a combined 105 years of loyal service with the company. Dave Campbell, Operations Manager –Security Guarding Services, led the long service awards as he marked 25 years with the South West’s largest independent supplier of fire and security solutions. He was joined by Alarm Receiving Centre (ARC) Operator Pete Chapman and Security Officers Rob Sanders, Steve Tozer and Jim McNeil who have each been with the company for 20 years. Scott Boyd and Kim Precious, Managing Directors of Securi-Guard Fire and Security and Securi-Guard Monitoring respectively presented each of the employees with a gift to mark the occasion.